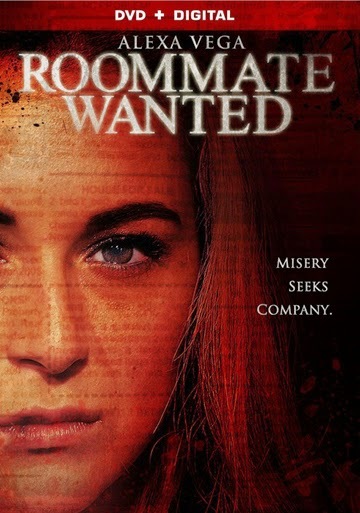 Keep your friends close and your roommates closer when Roommate Wanted arrives on DVD (plus Digital), Digital HD and On Demand May 19th from Lionsgate Home Entertainment. Starring Alexa Vega (Spy Kids franchise), Spencer Grammer (TV’s “Greek”), Kathryn Morris (TV’s “Cold Case”) and Richard Riehle (Transformers: Age of Extinction), it’s an all-out girl-war that ends with someone moving out for good. Roommate Wanted will be available on DVD. Janie is an ambitious student who dreams of a better life. Dee is a gorgeous socialite who dreams of a rich husband. They’re already not the best of friends...or the best of roommates. But when Janie gets the opportunity of a lifetime, Dee becomes the roommate from hell as she desperately tries to destroy Janie’s life.